2013 : for their 30 years, FRACs enter stations ! “You wanted to make the station a meeting and confrontation point between the public and contemporary art. And so transformed more than thirty stations into exhibition spaces. And to celebrate your 30th anniversary, you wanted to play on the traveler’s surprise and appeal to his imagination around these open doors on art and our territories.This experience should serve as an example and I will endeavor to take all the legislative and regulatory measures necessary to make it possible for the national collections as well as in other places. 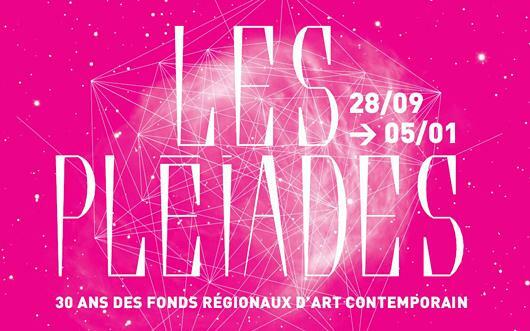 Extract from the speech of Aurélie Filippetti, Minister of Culture and Communication at the inauguration of the exhibition Les Pléiades at the Abattoirs of Toulouse, 27 September 2013. On an idea of a entreprisecontemporaine®, an exceptional partnership was set up for the 30 years of the Regional Contemporary Art Funds (FRAC) with Gares & Connexions, the SNCF branch managing French stations. With more than 30 stations throughout France, it is the largest operation to broadcast a Contemporary Art event in the regions: millions of travelers will be able to discover in 2013 works from the FRAC collections, such as Les Reflets by Franck Scurti in Toulouse Matabiau, or produced specially for the occasion, such as the monumental Plug-In City by Alain Bublex at the Montpellier Saint-Roch railway station. 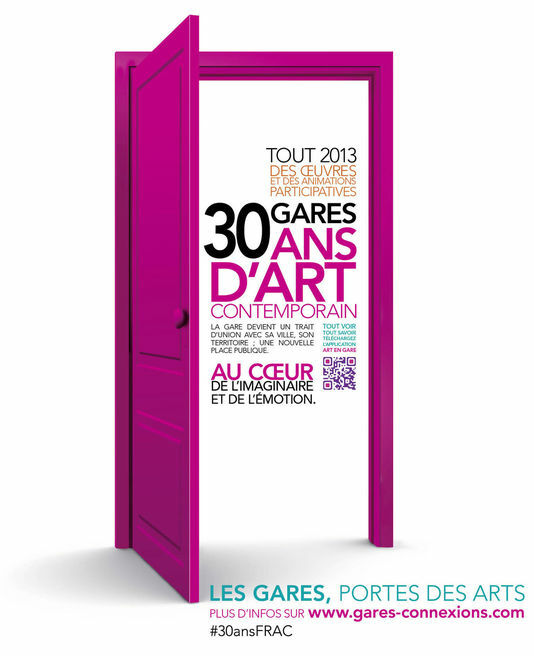 Born under the law of decentralization at the same time as the Regions, the FRAC, whose mission is to bring the art of our time to the widest audience, celebrate their 30th anniversary in 2013. At the top of a year celebrating the event in the regions, a major national exhibition is organized from 28 September 2013 to 5 January 2014 at the Toulouse / FRAC Midi-Pyrenees Abattoirs, Les Pléiades, with a selection of more than 200 works lent by The 23 FRACs, chosen by 26 commissioners among the 26,000 pieces of their collections, one of the largest collections of contemporary art in the world. • A challenge to create link : how to initiate unexpected encounters with the art of our time, and thus contribute to a “better living together”, in this contemporary agora that is the station ? • A challenge to mediation, “connection” with the public : how to encourage millions of travelers to become “viewers”, for a moment, in the midst of their daily migrations ? • A challenge in the capacity to build new proximity Public-Private Partnerships (PPP), which give meaning and embody Corporate Social Responsibility (CSR) in the heart of regions : or how to reinvent the link between the contemporary enterprise and the city ?